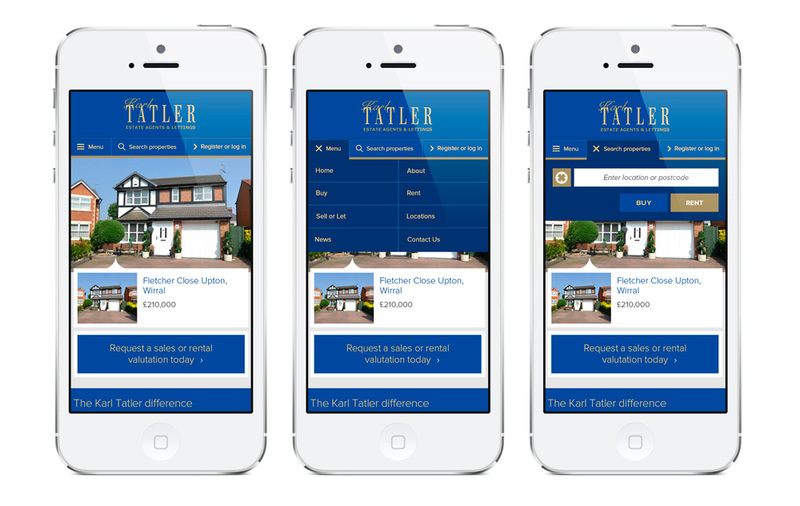 Karl Tatler Estate Agents & Lettings is an independently owned Estate Agents in Wirral. 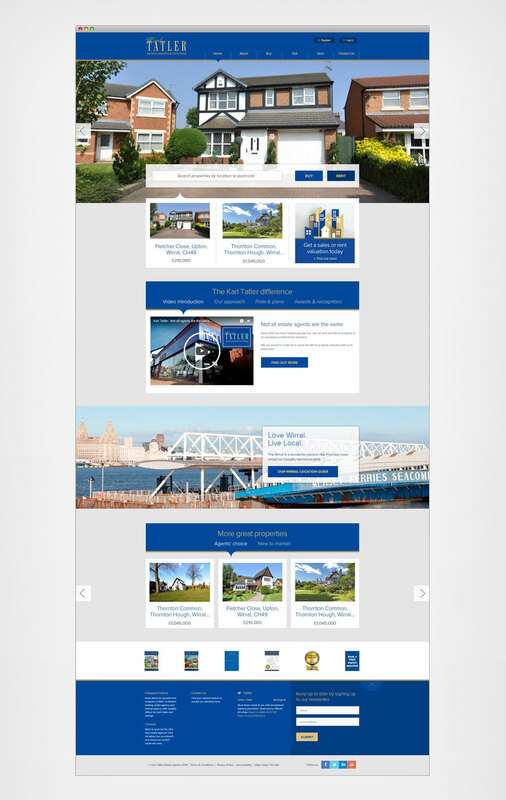 They are proud to be known for their dedication and the innovative ways they market and promote properties in Wirral. Karl Tatler approached my previous employer – The fresh Group with a brief to redesign their website. 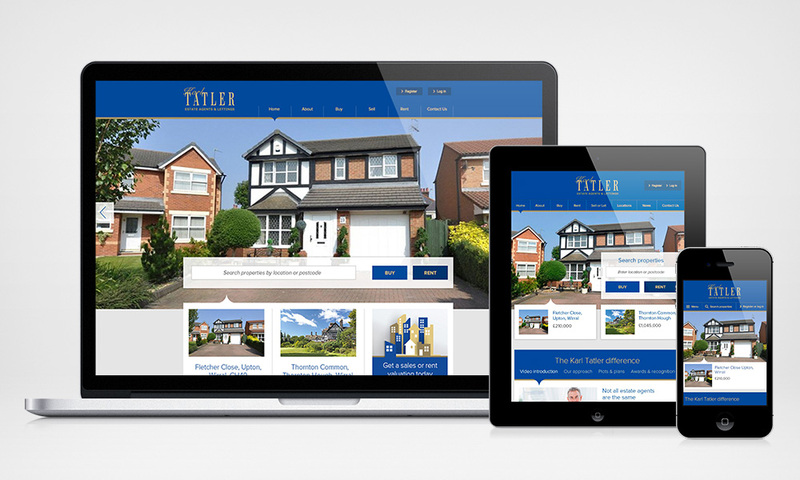 Not only did they ask for a cutting edge, innovative and user friendly website, they also wanted to have ‘the best estate agent’ site out there. I began the redesign process by researching and speaking to a number of recent and prospective home buyers regarding how they searched online for their perfect homes and the good and bad user experiences they had come across. From the insightful information gathered from the research, I began wire-framing the architecture and overall site UX with features that would enhance user experiences. The end result was a fully responsive website packed with cutting edge functionalities – and a special focus on location guide content, and multiple enhanced ways of searching. 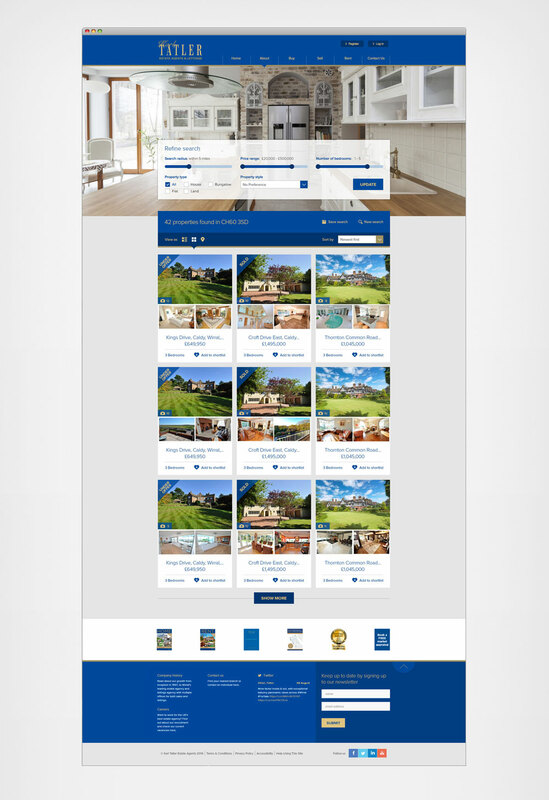 The design allows for key features about properties to be clearly highlighted and for multiple call-to-action buttons to be present on each page prompting prospective buyers to get in touch.